After each turn, write your score in one empty box on the score card. Fill in one empty box in the column under your name each turn. If you get the exact combo you want, mark your score card right away. Otherwise, continue with your 2nd roll. Set aside any keepers' and re-roll the rest. Hate them all? Re-roll them all. If you get the exact combo you need, mark your score card. Otherwise, continue with your 3rd roll. Roll some or all of your dice (as above), even any keepers you might have set aside. 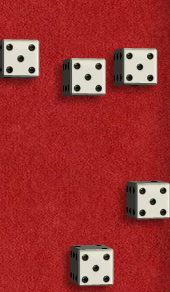 You must enter a score at the end of this roll, whether or not you like your dice. If your roll doesn't suit any of your empty boxes, you have to enter a zero somewhere. BUT scoring even a single die value is better than a zero. The scorecard has an upper section and a lower section. The upper section contains six boxes labelled 1 to 6. 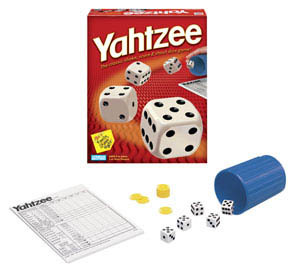 When you write a score in them, you score the sum of corresponding dice that you have rolled on that turn. For example, if you roll 5 3 3 5 3 you may enter a score of 9 in the 3rd spot or a score of 10 in the 5th spot. 3 of a kind: you must have at least three of the same die faces. 4 of a kind: you must have at least four of the same die faces. Full house: you have both a 3 of a kind, and a pair and give 25 points. Small Straight: 4 consecutive faces and give 40 points. Large Straight: 5 consecutive faces and give 30 points. Chance: the sum of all your die faces. 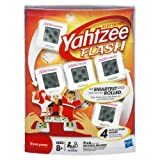 Yahtzee: you must have at least five of the same die faces and score 50 points. You get a bonus of 35 points if the total number of points you scored in the upper section is 63 or higher. 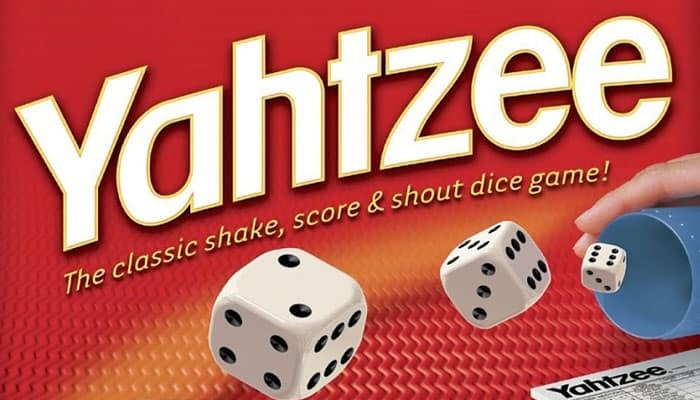 If you roll multiple Yahtzee, you can rack up a seriously high score. 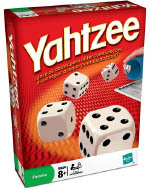 One extra Yahtzee = 100 bonus points. 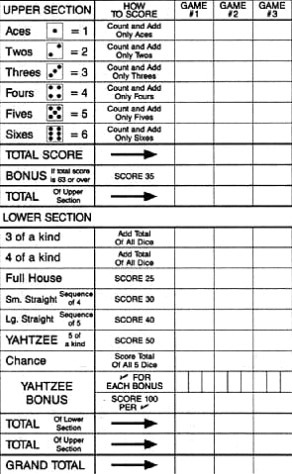 Score the total of the 5 dice in the appropriate upper section box. If that box is full, fill the 3 of a Kind or 4 of a Kind boxes in the lower section with your 5 dice total. If they too are full, use your Chance or steal any one of the combos with your 5 of a Kind dice. Score as normal, e.g. Full House is 25 points. 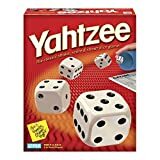 If you've already scored zero in your Yahtzee box, you can't get a Yahtzee bonus of 100 points. But you can still score as detailed above in steps 1-3. The player with the highest grand total at the end of all 13 rounds is the winner.